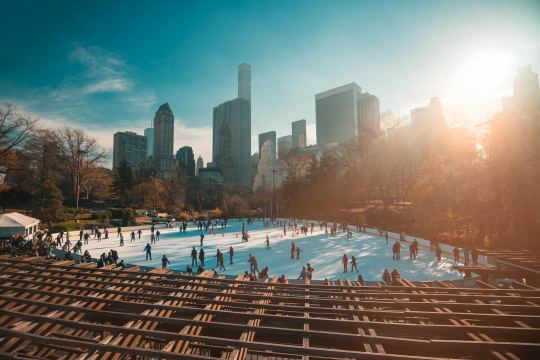 Curbed published an article this week called, Why U.S. cities should stop whining and embrace winter. It is about Canada and how we allegedly embrace winter, which is arguably true, except I think there’s still a healthy dose of whining combined with trips to the south. I went ice skating a few weeks ago along the waterfront here in Toronto. It was a cold night and we debated whether we should skate or do something indoors involving Niagara’s finest red wines. We opted for skating and weren’t cold at all. It was great. I was reminded of this when I read the line: “The purpose is to get you skating. If you are skating, you are warm.” It is a good reminder that one of the keys to a successful winter space is physical activity. That and hot tubs.